Fluoride lens elements deliver incredible images at maximum distances. 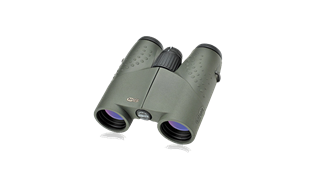 Developed to be the ultimate long range, low light binocular the MeoStar® 15x56 HD features massive 56mm HD objective lenses providing a light gathering capability unmatched by any premium large objective binocular. Extra-low dispersion, fluoride objective lens elements eliminate chromatic aberration (CA) or color fringing in challenging lighting conditions and deliver pin point resolution, increased contrast and vivid color fidelity. Proprietary MB5501TM ion assisted lens multi-coatings deliver maximum light transmission in dusk to nighttime conditions and ensures superior brightness and pin point resolution. Our MeoShieldTM coating protects exposed lens surfaces from abrasion. Sculpted thumb pockets and properly balanced chassis are comfortable during long glassing sessions. If you spend your hours in the field during the edges of the day and into night our largest MeoStar® binocular will deliver the brightest view. 15x56 HD – Massive 56mm HD objectives for observing the greatest detail at maximum distances in low light to dark conditions. 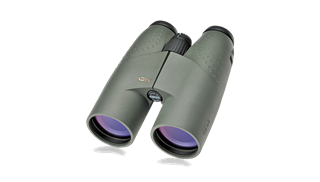 Excellent choice for early morning, dusk and nighttime nature watching, hunting and astronomy. A proprietary ion-assisted lens multi-coating applied to all air-to-glass optical surfaces. Developed by Meopta, MeoBrightTM ion- assisted multi-coatings eliminate glare and reflections and delivers an industry leading 99.8% light transmission per lens surface. MeoShield TM ion-assisted coating protects external lens surfaces and delivers enhanced resistance to scratching or abrasion in extreme conditions. MeoShieldTM meets military specifications for durability and surface hardness. Individual lens components are meticulously ground and polished in-house and precisely matched for superior performance. 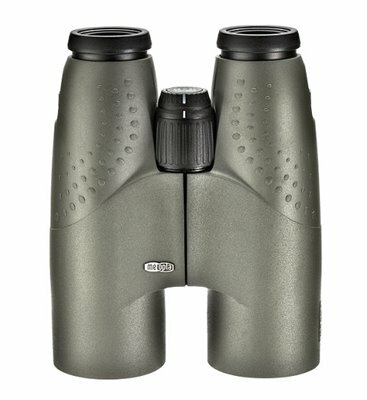 All binoculars are 100% guaranteed waterproof, submersible and are fully protected against humidity, rain and snow. 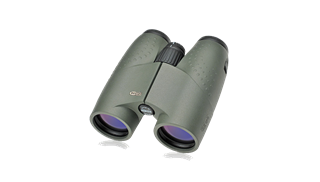 All binoculars are purged and sealed with inert Nitrogen gas to provide 100% guaranteed fogproof performance. All binoculars carry Meopta’s North American Lifetime transferable Warranty. High-definition, extra-low dispersion, fluoride objective lens elements eliminate chromatic aberration (CA) or color fringing in challenging lighting conditions and deliver pin point resolution, increased contrast and vivid color fidelity. Precisely ground and finished Schimdt-Pechan prism system is polished to within +/- 1 second and allows hours of extended glassing without eye strain. Central focus wheel smoothly operates on a finely tuned ratio allowing precise, accurate focus acquisition with no backlash. Integrated central diopter control is easy to adjust and accommodates +/- 3 D.
Protective rubber armor is softer in strategic locations to help reduce hand fatigue and improve grip. Sculpted thumb pockets accommodate a variety of hand positions and encourages a balanced and comfortable hold. Aircraft grade aluminum chassis is incredibly robust and built to survive rough conditions in the field. Small in size with the biggest view in its class. Fluoride lens elements deliver incredible images. Extend your observation to the edges of the day. The benchmark full sized binocular.